The 18th Bethune Round Table was held in Toronto, Canada on 25-27th May 2018. This is an annual global surgery conference and the theme this year was ‘The Role of the Trainee in Global Surgery’. The first 2 days were conference-style lectures and panel discussions with the final day consisting of separate workshops for trainees and consultants. A drinks reception was held at the start of the conference and a banquet took place after the second day giving plenty of time for networking. Overall the round table was fantastic, impressively organised and totally worth the trip. The content was stimulating and the delegates were great to connect with as they had a vast rage of global surgery experience and originated from many developed and developing countries around the world. 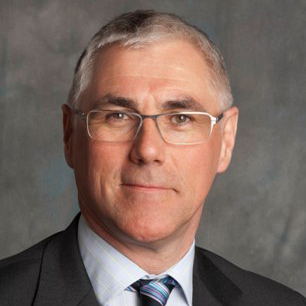 James Rutka (Surgical Chair, University of Toronto) discussed the introduction of global surgery as an academic job track available for consultant surgeons in Toronto. Toronto has demonstrated that global surgery is a priority as it is one of the six identified areas of strategic direction in the University of Toronto 2018-2023 Surgical Strategic Plan. All of the Canadian Surgical Chairs gathered for a meeting during the Bethune with the aim of coordinating global surgery efforts in Canada, therefore reinforcing their unified commitment to this area. In terms of global surgery for trainees, the Canadian Surgical Chairs vocalised their commitment and have promised to publish a white paper with their plans. These will include national integration of global surgery into the surgical curriculum and a global surgery fellowship for the Canadian trainees. 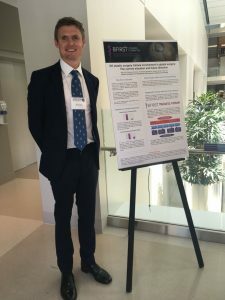 UK – James Glasbey (Surgical Trainee Birmingham) represented GlobalSurg and described setting up multicentre RCTs in the developing world. NIHR has given £7million for global surgery research unit collaboration between universities in Birmingham, Edinburgh and Warwick. Canada has a strong academic culture amongst its surgical workforce and are clearly keen to develop their global surgery research profile. Many conference delegates had heard of BFIRST and were very supportive of its ethos. The BFIRST message was well received and people were keen to collaborate. BFIRST held a unique position at the conference advocating for global reconstructive surgery. In particular, representatives from the Congo displayed particular interest in collaboration. Representatives from Zimbabwe were keen to continue current collaboration. 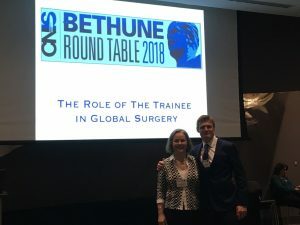 There were still areas of uncertainty including how trainees would be able to get involved in global surgery activities whilst ensuring the highest standard of care for patients and not interfering with local training opportunities. BFIRST Trainees hold a relatively unique position advocating for plastic surgery trainees and global surgery. There is great potential for BFIRST Trainees to collaborate with other trainees and organisations.